Many thanks to all the readers who've e-mailed me or posted links to my "dissenting opinion" in Fifield v. Premier Dealer Services. I'd like all of you to know I'm in the process of recovering. Your words of support and encouragement have been, well, overwhelming. I have more to say. It's part of my healing. This is not the first time the Appellate Court has gone off the tracks on non-compete law. I've written so many times about the first - the Appellate Court's wholly-created, now-defunct legitimate business interest test, and the ensuing Reliable Fire opinion - that I won't repeat it here. The second deserves more discussion. The Fifield opinion (and I use that term in the most liberal sense) reminds me of an open wound that festered in the 1990s. For a few years, the Appellate Courts disagreed over what became known as the "ancillarity" doctrine. Must a non-compete covenant for at-will employees be ancillary to an actual employment contract, or just the relationship itself? Courts split over this question. One case (Creative Entertainment v. Lorenz) favored a more narrow approach as to enforceability and held that the covenant not to compete must be contained within some broader form of an employment contract. That is to say, the contract had to contain additional terms like the period of employment, termination conditions, and rate of pay. Importantly, Creative Entertainment appeared to suggest (if not outright state) that covenants for at-will employees were "naked agreements," since there was no promise of a definite term of employment exchanged for the restrictive covenant. That, in essence, is the concern underlying Fifield. What, truly, does an employee receive in exchange for giving up some right to compete in the future? Creative Entertainment, the step-father to Fifield, had a shorter shelf life than most reality TV shows. It took less than a year for another district of the Appellate Court of Illinois to disgree with Creative Entertainment. That district (which perhaps not coincidentally tried to eliminate the legitimate business interest test a few years ago) liberalized the ancillarity requirement. It held, in Abel v. Fox, that the restrictive covenant need only be ancillary to a valid relationship, not an employment contract. It specifically examined the Restatement of Contracts to conclude that Creative Entertainment was too rigid in its analytical framework. Put another way, an at-will relationship was "valid" for purposes of determining ancillarity. It never stated, or suggested, that an employer must continue employment for a period of time to validate the covenant. The more liberal ancillarity approach took hold quickly. Creative Entertainment was effectively reversed just a few years later. The case is, and has been, a total afterthought. 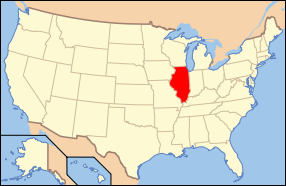 No lawyer in Illinois discusses ancillarity anymore. It's just widely assumed - rightly so - that the employment relationship itself solves the problem. All this sort of begs the question: Doesn't the rejection of the conservative ancillarity doctrine from Creative Entertainment undermine the consideration problem now identified in Fifield? More particularly, doesn't it illustrate precisely why the continued employment rule should be confined to "afterthought" covenants - that is, those signed after the relationship started? When assessing covenants signed at the start of the relationship (the Fifield problem), the ancillarity and consideration inquiries collapse into one. This leads to the penultimate problem: What happens if the employee signs the covenant at the start of the relationship but the employer terminates the relationship within a short amount of time? This is clearly the Fifield problem simplified. I've written about this before, too. There are multiple ways to deal with this issue, which I believe in practice arises very infrequently. First, courts can remedy this problem through the affirmative defenses of unclean hands or unconscionability. Little more need be said. They're good defenses. Second, the court can and should consider under the Reliable Fire test the totality of the circumstances before enforcing the covenant. That test requires courts to determine the hardship to the employee that may result from enforcement. Certainly, an involuntary termination bears on the question of hardship. Third, courts could create a rebuttal presumption against enforcement in the context of involuntary discharge, to be overcome by a showing of need under a clear and convincing evidence standard of proof. This would serve a proper balance between the typical discharge case (no enforcement needed) and one that isn't subject to categorical rules (a pretty rare case). Now, to conclude. The issue of voluntary resignation and consideration. Right now, courts in Illinois appear not to distinguish the enforceability of covenants for employees who quit and those who get fired. In my view, this is a mistake. For an at-will employee who signs a non-compete, and then leaves, this is not a consideration problem. The employer hasn't removed the consideration - the employment itself - in this scenario. Any mitigating circumstances from the employee's perspective are best addressed through an overall reasonableness analysis, which Reliable Fire expressly endorses. Put simply, an employee who leaves always has the ability to argue enforceability. It is inconsistent with past precedent - both Reliable Fire itself and the ancillarity cases - to find that an at-will employee has a two-year option to revoke his or her non-compete unilaterally.